MOUNTAINVILLE, N.Y. — When the painter Winslow Homer left New York City for this Hudson Valley hamlet in the summer of 1878, he was reported to be “a little under the weather.” He was probably suffering a nervous breakdown. Whether the cause was a failed romance or despair at seeing the Gilded Age shatter around him, we don’t know. But he felt unmoored and clung to the natural world. The dozens of watercolors he did that summer were landscape-filled, with sloping pastures and wall-like mountains dwarfing human figures, idylls so perfect that they look unreal. The New York State Thruway buzzes through that landscape now. Most of the pastures are gone, but the mountains are still here: Schunnemunk, behind a series of ridges; Storm King, running high and long before dropping into the Hudson. And recently, some new additions, baby mountains, have appeared: seven undulating, grass-covered ranges of them. These mini-Catskills were conceived and built — molded is really the word — by the artist Maya Lin as a permanent installation at the Storm King Art Center, the 500-acre sculpture park that for almost half a century has been devoted to the display of outdoor works either designed for the location or too large or strange to fit comfortably elsewhere. Ms. Lin’s ambitious piece, “Storm King Wavefield,” was commissioned by the center, and installation of it, under the supervision of David R. Collens, an artist and Storm King’s director, began two years ago. 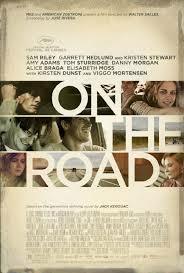 Set in a shallow, amphitheaterlike depression, once a gravel pit supplying material for the Thruway, it covers 11 acres. Its seven parallel rows of rolling, swelling peaks were inspired by the forms of midocean waves but echo the mountains and hills around them. That impulse was little remarked upon at the beginning of her career, when she was known mostly as a creator of urban commemorative sculptures, the first and most famous being her Vietnam Veterans Memorial for the Mall in Washington. Designed when she was still a graduate student in architecture at Yale, this long, low chevron of buffed black granite inscribed with names of the war dead was as much a monument to healing and humility as to heroics, and it became a flashpoint for American feelings about a divisive war and a disorienting era. Initially, the political content of these works defined them. 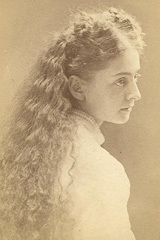 Now it is possible to step back and reassess them in light of Ms. Lin’s subsequent career, which took her out of the memorial business and in the more directly earth-sculpturing direction, a direction that, it turns out, she had been following all along. Ms. Lin’s originating image for the Vietnam memorial, with its plain, straight slant like a Hudson Valley hillside, was of a blade slicing into and wounding the earth. The Civil Rights Memorial and “Women’s Table” were both based on a single natural process: the slow but certain shaping of earth, in the form of stone, by water. All three pieces were meant to interact organically, even sensually, with their viewers, inviting them to run their hands over stone, feel and hear the trickle of water. In short, Ms. Lin was making a species of “earth art” from the start. And she has done so unequivocally since, most strikingly in a small series of “wave” pieces formed from piled and packed soil. The first, “Wave Field,” installed at the University of Michigan, Ann Arbor, in 1995, is a 10,000-square-foot grouping of earthen mounds, the highest six feet, their shapes based on those of scientifically measured ocean waves. The second piece, “Flutter,” covers 30,000 square feet of a plot near the Federal Courthouse in Miami; the undulant shapes, child-size at three to four feet high, were inspired by the textures made in sand by the action of waves. Small working models for these works are on view, along with several indoors pieces, in the exhibition “Maya Lin: Bodies of Water” in the Storm King Art Center Museum. The “Storm King Wavefield” is the third and last of the series and by far the largest at 240,000 square feet, with heights of 15 feet. Like its predecessors, it is made of natural materials: dirt and grass. Like any landscape, it is a work in progress. Vegetation is still coming in, drainage issues are in testing mode, and there are unruly variables: woodchucks have begun converting one wave into an apartment complex. But the piece is already a classic. It has the gravity of Ms. Lin’s commemorative sculptures and the sociability of the earlier “wave” pieces, which lent themselves to picnics, play and privacy. And, more immediately than almost any of her other outdoor projects, it is inextricable from nature, which is where, as I say, all her art starts. Born in 1959, Ms. Lin was raised in rural Ohio, and as a child visited the great Serpent Mound and other American Indian earthworks in the Midwest. Through her father, a ceramicist who grew up in a Japanese-style house in China, she developed an affinity for the nature-saturated, but also nature-framing, aesthetic embodied in the Zen rock-and-sand garden, and in the Chinese ink-and-brush landscape, with its misted and surreally scaled vistas. As a distillation of nature, the Zen garden is highly controlled: you view it from a fixed point and from a distance; you don’t physically enter it. In that sense, it is an image rather than an environment. By contrast, the “Storm King Wavefield” is embracingly environmental. Seen from a slight elevation, it complements its hilly setting but interrupts it. (There is, after all, something a little freakish about these slinky, reptilian swellings in the ground.) Because the work does both, it sharpens your eye to existing harmonies and asymmetries otherwise overlooked. When you descend into the troughs between the lines of waves, you may experience an entirely different set of sensations. You lose sight of all the other waves and of the larger prospects beyond them. 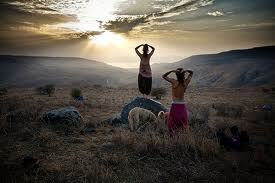 Now you are down in the earth; it is rising over you, not you over it. You’re suddenly smaller, but also protected. Outside sounds are muffled, large-scale distractions reduced. The grand vision of hills upon hills, recession upon recession, drops away. With it gone, you’re encouraged to concentrate on the details of what’s around you. That’s what, I suspect, all of Ms. Lin’s outdoor work is asking you to do: touch the stone, feel the water, smell the air, see how that patch of grass is different from another. I suspect that the search for a similar kind of focus, and the relief from boundlessness it brings, is what Homer was after in Mountainville that summer. Whether he found it, I don’t know. He ended his life in a very different landscape, on the coast of Maine, where he produced painting after painting of waves crashing on rocks, water demolishing land, ceaseless natural destruction frozen in time. In its own way, some of Ms. Lin’s most recent work has a similarly adamant, end-time character. I refer to the long-planned, multipart project she calls “The Last Memorial,” with which, over decades, she plans to monitor globally the corruption and demise of the natural environment that has been her subject and source. What forms she will call on remain to be seen. But “Storm King Wavefield” is a different kind of work. Neither fatalistic nor utopian, commemorative nor history-free, natural nor artificial, unstable nor fixed, it is a puzzle to ponder but also — first things last — a soul-soothing place of retreat. 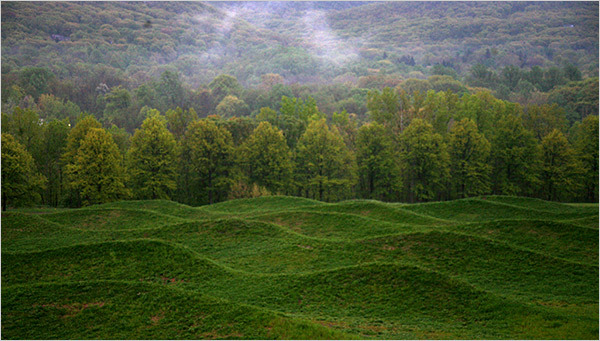 “Storm King Wavefield” is on permanent view at Storm King Art Center, Old Pleasant Hill Road, Mountainville, N.Y.; (845) 534-3115, stormking.org. 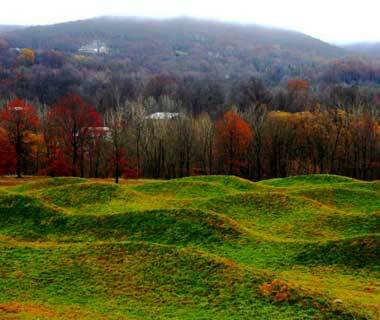 “Maya Lin: Bodies of Water” remains on view at the Storm King Art Center Museum through Nov. 15. A traveling survey of Ms. Lin’s work, “Maya Lin: Systematic Landscapes,” organized by the Henry Art Gallery of the University of Washington, Seattle, is on view at the Corcoran Gallery of Art, Washington, through July 12. An art review and headlines on Friday about a new installation by Maya Lin at the Storm King Art Center in Mountainville, N.Y., misidentified the region of New York State where the center is. It is in the Hudson Valley, not the Catskills. “Kalamazoo” was originally a Native American name although its exact origin hasn’t been pinpointed. Some say it means “the mirage of reflecting river,” while others say it means bubbling or boiling water. Intrigued by the name, many poets, authors and songwriters have penned Kalamazoo into their works, the most notable of which may be Glenn Miller’s I’ve Got a Gal in Kalamazoo. In the early 1900s, three ships were also christened Kalamazoo. Historically, the city has been referred to by many names. It’s been called “The Paper City,” for its many paper and cardboard mills; “The Celery City,” after the crop once grown in the muck fields north, south, and east of town; and “The Mall City,” after construction of the first outdoor pedestrian shopping mall in the United States in 1959. The fertile soil on which Kalamazoo is built has led the area to most recently be called the “Bedding Plant Capital of the World,” as the county is home to the largest bedding plant cooperative in the U.S. Hundreds of thousands of plants, many varieties of which are displayed throughout the county’s parks and boulevards, are sold each year to home gardeners and landscapers nationwide. Kalamazoo was once the manufacturing domain for Checker cabs, Gibson guitars, Kalamazoo stoves, Shakespeare fishing rods and reels, and the Roamer automobile. Parchment paper, made from vegetable byproducts, gave the city of Parchment in Kalamazoo County its name. Experts feel that other Native Americans who later traveled down from the north probably exterminated the Moundbuilders. The earliest written records tell of the Sioux frequently occupying the region followed by the Mascoutin and the Miami. But by the time the white settlers arrived in the area that was to become Kalamazoo County, the land was occupied by the Potawatomi Tribe, a branch of the greaterAlgonquin people. In 1680, the first white men journeyed through southern Michigan passing through Prairie Ronde and Climax. Traders occasionally did business in the county more than a century later in 1795. The Treaty of 1795 opened the Northwest Territory for settlement also setting aside a large portion of what was to be Kalamazoo County for a Reservation known as “Match-e-be-nash-e-wish.” This may have been the chief gathering place of the Pottawatomi Indians. The Treaty of 1821, known as the “Chicago Treaty” opened this plot of land to white settlers and became the basis for many of the county’s land titles. In 1827 the Indian reservation was consolidated in the southern end of Kalamazoo County and the northern part of St. Joseph County. Another treaty with the Native Americans in 1833 arranged the exchange of five million acres of their land for $40,000 in trinkets and trappings. The enforcement of the treaty in 1840 required the relocation of Kalamazoo’s Native Americans across the Mississippi River. According to Dr. Willis Dunbar’s “Kalamazoo and How it Grew”, the first white resident of the area was probably a British fur trader named Burrell who in 1795 spent the winter at his trading post near what is now Riverside Cemetery. A Frenchman named Numaiville erected the first permanent trading post in 1823. Rix Robinson took over the post and operated it until 1837. The first white settler of the county was a man named Bazel Harrison, cousin of U.S. President William Henry Harrison. Harrison traveled to Kalamazoo County in late 1828 and built his home on the shores of a small lake 3 miles northwest of what is now Schoolcraft. (Harrison is said to be the person James Fennimore Cooper had in mind when he created the character Ben Boden in his famous novel, “The Oak Opening”). Other settlers followed quickly and by 1830 over 100 families had settled in the Prairie Ronde area. Within a year, all of the county’s eight prairies had been settled. Lucius Lyon, a land speculator, who later became one of Michigan’s first U.S. Senators at statehood, founded the village of Schoolcraft. In 1830, John Vickers built the county’s first gristmill in the Prairie Ronde area. Within the same year he sold it and built another 20 miles away. The village that grew around the newest mill came to be called Vicksburg. In 1800 the waterways and the Indian trails were the only routes a traveler in the county could follow. Settlers constructed the first primitive roads after 1830, the main one being the Territorial Road. This ran from Detroit to St. Joseph and bisected the county. The first plank roads were built around 1845 with the most important one stretching from Kalamazoo to Grand Rapids. Although these roads aided transportation, travel on them could be slow and sometimes treacherous. The railroads soon became a faster and safer means of transportation. The Michigan Central line first spanned the territory between Detroit and Kalamazoo in 1846 and its link to Chicago was completed in 1852. By 1905 at least six railroads connected Kalamazoo with the rest of the continent. By that time, however, the importance of the railways began to fade. The short-lived interurban systems were attracting short distance passengers and freight shippers. In the first quarter of the twentieth century, the development of gasoline powered vehicles and hard-surfaced roads offered the residents of the county improved transportation possibilities. Presently two major roads in the county are Interstate 94 and U.S. 131, both of them limited access expressways. The county also has four airlines serving its needs. Since the early days of white settlement, Kalamazoo County has always supported a strong farming economy. Industry has also been a strong force in the county’s economic development. As early as 1850 an iron furnace to smelt bog ore was founded in the county. After the Civil War, paper manufacturers began setting up shop in the Kalamazoo River Valley and in 1885, a physician from Hastings, Michigan, invented a pill making machine and developed the first readily dissolvable pill. William Erastus Upjohn moved to Kalamazoo to seek his business future and started the Upjohn Pill and Granule Company (later Pharmacia & Upjohn and now Pfizer), one of the world’s leading pharmaceutical firms, was founded. The many other new and diversified industries attracted more workers and families to Kalamazoo County. For further information on the history of Kalamazoo County and its communities, the book “Kalamazoo and How it Grew” by Willis F. Dunbar, Western Michigan University, 1959, is very helpful. Most of the county’s early white settlers were fur traders from England or New York. The remainder came from Pennsylvania and Maryland. After 1845 the number of foreign immigrants increased rapidly especially with the coming of the Hollanders in 1850. The growth rate of the county’s population reached its height between 1845 and 1860 when almost 8,000 newcomers settled here. That growth rate was not exceeded for 50 years when between 1904 and 1920 the population grew to 214,000, quite an increase over the 1860 figure. Increased immigration, better transportation, and the appearance of diversified industries all played a role in Kalamazoo County’s growth. As the size of Kalamazoo County grew, so did the variety of social and cultural activities. The Kalamazoo Gazette, the county’s earliest newspaper, is one of the state’s oldest. Many other papers were published here in the early years, including the Kalamazoo Telegraph (1844-1916). The county’s educational facilities have always been a source of pride for residents. The first public high school was built in 1859 and in April 1833, the territorial governor signed legislation authorizing a charter for the Michigan and Huron Institute. Its first building was erected in 1836 on Cedar Street between Park and Westnedge and over the years, the Institute evolved into the well-respected Kalamazoo College. At present the county boasts four institutions of higher learning – Kalamazoo College, Western Michigan University, Kalamazoo Valley Community College and Davenport University. Branches of other colleges are now also present in the Kalamazoo area. The area’s cities, Kalamazoo and Marshall in particular have many areas designated as historic districts. Notable examples of Gothic, Italianate, Greek Revival, Sullivanesque, Queen Anne, Art Deco and other architectural styles accent their stately old avenues, providing a glimpse of restored grandeur from the previous century. Frank Lloyd Wright also found Kalamazoo quite right for his “Usonian”style of homes, built here during the late 1940s. Many of his designs are found in and around Kalamazoo. 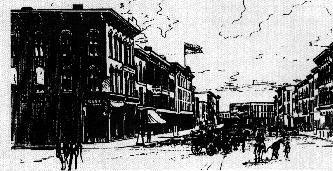 Kalamazoo Mall — the first outdoor pedestrian shopping mall in the United States was begun with the closing of Burdick Street to auto traffic in 1959. The four block long mall, stretching from Lovell Street on the South to Eleanor Street on the north, has been restyled to match the attributes of the Arcadia Commons development, where the new Kalamazoo Public Museum anchors the north end of the mall. In 1999, however, two blocks of the mall were modified to accommodate auto traffic after a period of political debates on the issue. and a sculpture “The Children May Safely Play” by Kirk Newman, in the west reflecting pool. The park lost many tall, old trees when it was ravaged by a 1980 killer tornado that swept through downtown Kalamazoo. Abraham Lincoln made his only public speech in Michigan here; a historic marker honors the event. Kalamazoo Regional Psychiatric Hospital Water Tower — Off Oakland Drive north of Howard Street is the 175-foot tall landmark on the hilltop campus of the Kalamazoo Regional Psychiatric Hospital. The water tanks in the 1895 Queen Anne style tower are no longer in use. Stuart Avenue, South Street and Vine Historic Districts — Stately old houses line the grand streets of these neighborhoods, giving passerby a glimpse of restored grandeur from the previous century. The South Street district is west of South Westnedge Avenue; the Stuart Avenue district is in the area of the West Kalamazoo Avenue and Stuart Avenue intersection. Frank Lloyd Wright homes — Parkwyn Village, at Taliesin Drive and Parkwyn drive in southwest Kalamazoo, and the 11000 block of Hawthorne south of Galesburg. Designed as a cooperative neighborhood by famed architect Frank Lloyd Wright in the late 1940s, Parkwyn Village contains examples of Wright;s Usonian style of home. More Wright homes are found in a rural setting south of the city of Galesburg. Kalamazoo City Hall — An acclaimed 1931 example of Art Deco style, City Hall at 241 W. South Street has a three story, skylit atrium. Visitors are welcome. Underground Railway Home — On Cass Street east of U.S. 131 in Schoolcraft. Built in 1835 by the county’s first doctor, Nathan Thomas, this house once was a link in the network of safe houses that hid former slaves. It’s open for tours by appointment only. Call the Schoolcraft Historical Society at (269) 679-4689 for more information. Kalamazoo County was a stop on the Underground Railroad. Dr. Nathan Thomas’ Underground Railroad House in Schoolcraft was in operation for twenty years. 1,000 to 1,500 escaping slaves were given food, shelter and medical aid. Yes, there really is a Kalamazoo and yes, these stereotypes are actually true. Seriously–it is. The day Bell’s Brewery releases Oberon is the biggest “party” day in Kalamazoo. How everyone celebrates ranges from people heading to Bell’s as soon as they open all the way to people grabbing a six pack and hanging out on their porch. To many, the annual release of Oberon means something more than just a new ale to drink–it means summer is almost here. The Do-Dah Parade is an annual celebration and decades-old tradition full of wacky satire and spoofs. People here kick off summer in the best way possible–dressed in silly costumes parading through town. Have you ever gotten candy thrown at you by a zombie? I have. Kalamazoo also likes to get eccentric once a year at Bell’s annual eccentric night, a celebration of your alter ego and an excuse to dress as ridiculously as you possibly can. From community gardens (they’ve got about 25) to the large focus on local, Kalamazoo is pretty liberal. The farmer’s market is the place to be on a Saturday and the food co-op was so well supported they were able to expand. 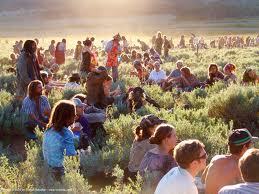 While they may not be rocking tie-dye and flowers in their hair, the hippie spirit is alive and well. Being a university town comes with what some may call a price–hipsters. While in Kalamazoo the hipster focus is a bit more centered on the local culture, hipster is as hipster does. And in Kalamazoo, some of those hipsters join the Moped Army. I mean, Kalamazoo is the birthplace of the Moped Army, which has grown to include branches throughout the U.S. Talk about being hip. Do you want directions? If you’re in Kalamazoo then you better know where Stadium Drive, Main Street, Westnedge, and Kalamazoo Avenue are. These are the four main roads that everyone and anyone there bases directions off of, that is, when they’re not using landmarks. To be a youth in Kalamazoo means you have participated in at least one late night donut run to Sweetwater’s Donuts on Stadium. A 24-hour donut shop, especially one as good as Sweetwater’s, is not something to take lightly. Rather, it’s something to take advantage of. One thing is for sure—a late night run is not necessary to appreciate Sweetwater’s. From Bronson to Borgess to Pfizer to contract agencies to Kalamazoo Community Mental Health and Substance Abuse Services, it’s harder tonot know someone in the healthcare field in Kalamazoo. From the Kalamazoo Area Runners to the surplus of marathons and running events, it’s safe to say that Kalamazoo is full of dedicated runners. New running events are consistently added to the already packed roster, so there’s a bit of running fun for everyone. Seriously–with events like the Run or Dye to the Kalamazoo Mud Run to the Borgess Marathon, you don’t have to be a champion to have fun on the run. From the much attended ArtHop on the first Friday of every month to the community theaters to concerts in the parks, Kalamazoo is full of all types of artists. In fact, almost everyone dabbles in art one way or another here. They may not be walking around in paint-stained clothing fulfilling the stereotype in a stereotypical way, but they will be at art-related events supporting their fellow artists and keeping the arts community strong. From Bell’s Brewery to the new Arcadia Ales, Kalamazoo is full of open and soon-to-open microbreweries. If there is one thing almost everyone in Kalamazoo can agree on, it’s having a good time. What helps fuel a good time? Good beer and good food. These people have rejected the stuff-cluttered life for something more meaningful. Most of us can only handle stacking, storing and stepping over our stuff for so long before we start to feel claustrophobic. We go on a cleaning spree and give (or sell) it all away. But that’s only a temporary fix. Living small requires a more permanent shift. You might find it hard to believe, but there is a growing demographic of people convinced that no person needs a house full of possessions to survive. 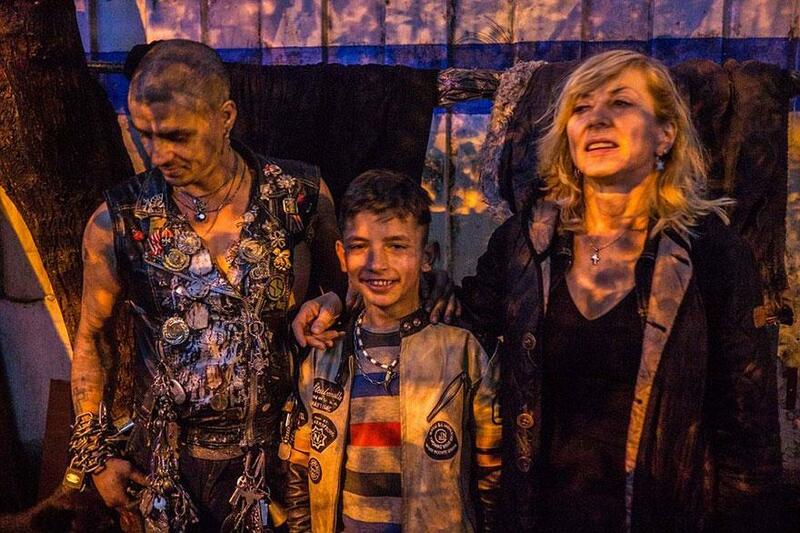 These aren’t tent-dwelling hippies, but successful, intelligent individuals and families who have rejected the stuff-cluttered life for something more meaningful. Here are some of our favorites. On the brink of turning 30, Millburn and Nicodemus (pictured above) discovered that working 70-80 hours a week for a corporation and buying more stuff didn’t fill the void. “In fact, it only brought us more debt and stress and anxiety and fear and loneliness and guilt and depression,” writes the duo. So, they quit their jobs and took back control using the principles of minimalism to focus on what’s important in life. Since then, they’ve written hundreds of articles aimed at helping others embrace a life that’s free from material and emotional cumbersomeness. Millburn claims to own around 288 things (even though he doesn’t really count his stuff). We often dismiss lifestyles of few possessions as something reserved for college kids and bohemians, but who ever said age sentences us to a prison of clutter? For more than 16 years, Schwermer, a former schoolteacher and psychotherapist, has lived without money. After running a successful swap and barter shop, she quit her job in 1996, giving away all of her possessions except what could fit into a single suitcase and backpack, and moving out of her rental home. 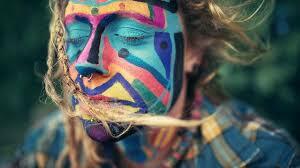 Since then, she has been a nomad, trading gardening, cleaning and even therapy sessions for food and a place to sleep. She’s written several books about her adventures, giving all advances and profits away on the street, or to charity. In 2008, Adam Baker and his wife, Courtney, decided to sell everything they owned, pay off $18,000 in consumer debt and travel the world as a family. They began sharing their journey publicly in early 2009, and that’s when ManVsDebt.com was founded. The Bakers reduced their possessions to what fit in two backpacks, and spent more than a year traveling in Thailand, Australia and New Zealand. 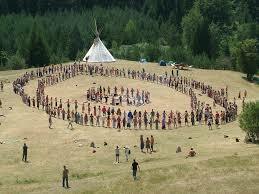 Then, they came back to America, and started helping others learn how to do the same thing. He also helped produce “I’m Fine, Thanks,” a new, feature-length documentary that’s a collection of stories about life, the choices we make, and the paths we ultimately decide to follow. A cow rescued from a neglectful animal hoarder is now free to roam her California ranch, but whatever you do don’t call her a heifer. Milkshake, as she’s called, believes she a dog. 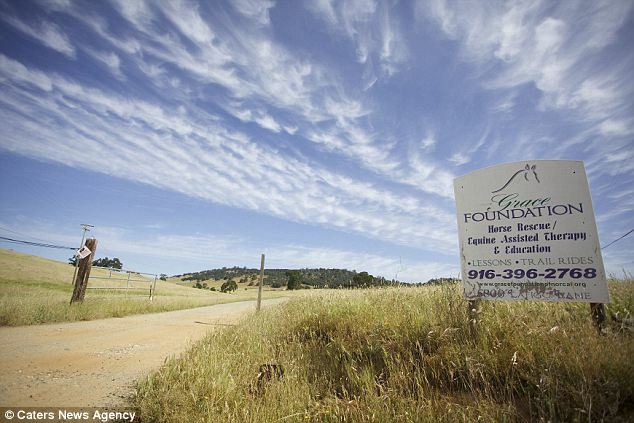 Beth DiCaprio at the Grace Foundation says the cow trots around the El Dorado Hills ranch along with her canine best friend and even refuses to eat grass like her bovine relatives. ‘Milkshake is still not convinced she is a cow and has never been a fan of grazing,’ DiCaprio told Caters. 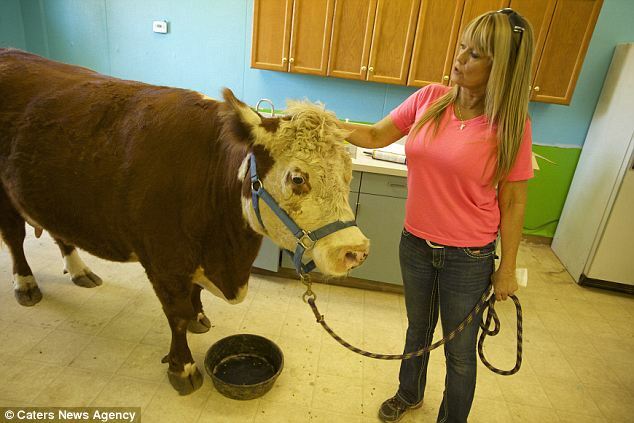 The 1,200 pound Hereford heifer was taken in by the Grace Foundation — a non-profit that usually only fosters needy horses — after she was rescued from an animal hoarder who kept her locked in a cage. ‘When Milkshake first arrived at the ranch she didn’t even know what grass was,’ said DiCaprio. Now she has all the space to roam she could want. But she’d prefer to follow DiCaprio and her mutt friend Riley. Milkshake also eats like a dog. ‘I think she thinks it’s pointless finding her own food when she can wait on us bringing it to her in a bowl, like her dog friends,’ DiCaprio said. 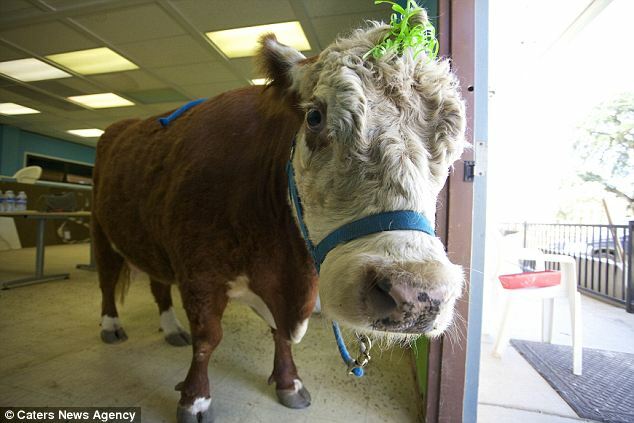 Now eight years old, Milkshake is like a real-life bull in a china shop – especially when there is food to be found. The heifer goes graze-y whenever food is around and has been known to knock over furniture that’s been in her way. The Grace Foundation, which was founded 10 years ago, is home to more than 200 ‘last chance’ animals who have been saved from all over California. The not-for-profit ranch normally only takes in horses but Milkshake is a real hit with visitors and staff alike. Since 1972, every summer, thousands of nature lovers from all walks of life go on a journey to a gathering in remote national forests across North America to experience the viability of living in a cooperative community in harmony with the earth. 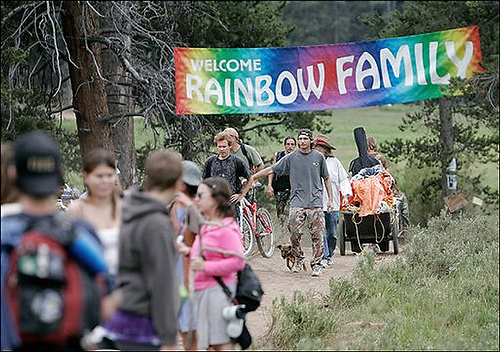 The annual “Rainbow Gathering” in the US draws thousands over the first week of July, focusing on the 4th (national holiday) as a holy day of meditation and prayer for peace and freedom. 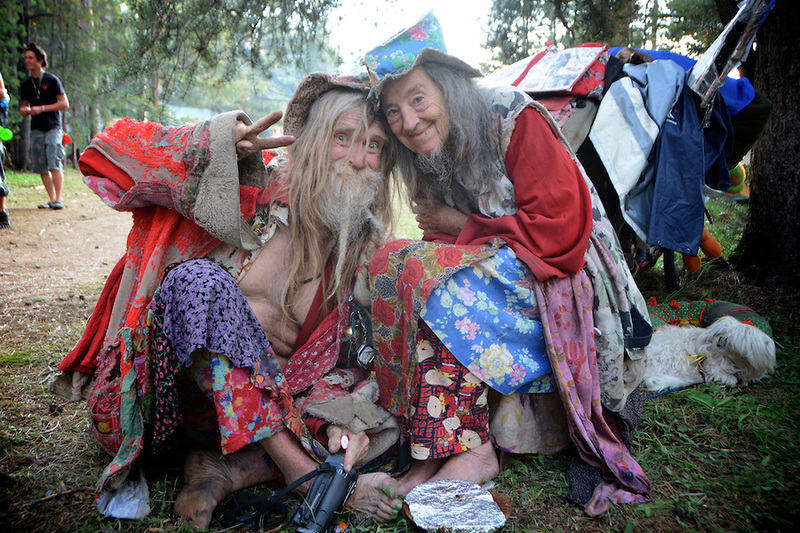 In “Warriors of the Rainbow” Ram Dass ( the man who helped spark both the East-West spiritual revolution and the psychedelic revolutions), Art Goodtimes and others Rainbow Warriors express their love and hope for the future of humankind. An optimistic robber friend requested his alleged victim on Facebook the day after he attacked her, according to police. Riley Allen Mullins, 28, was identified by the woman as her possible attacker after she recognised him from his profile picture, the Kitsap Sun reported. He has been charged with attacking the woman as she waited at a ferry terminal in Washington on Tuesday. She was sitting at the Bremerton terminal listening to music through headphones when she was hit in the head from behind, authorities said. After being struck, a man grabbed her iPod and purse and ran away. She did not recognise the man but noticed a tattoo of a triangle on his neck during the attack. The next day, the woman received a Facebook friend request and thought she recognised the sender as the man who robbed her. Police confirmed the Facebook account belonged to Mullins and said his picture showed the triangular neck tattoo. The woman is not thought to have accepted his request. Bucharest, the capital of Romania, is a beautiful city full of graceful architecture and rich with history. 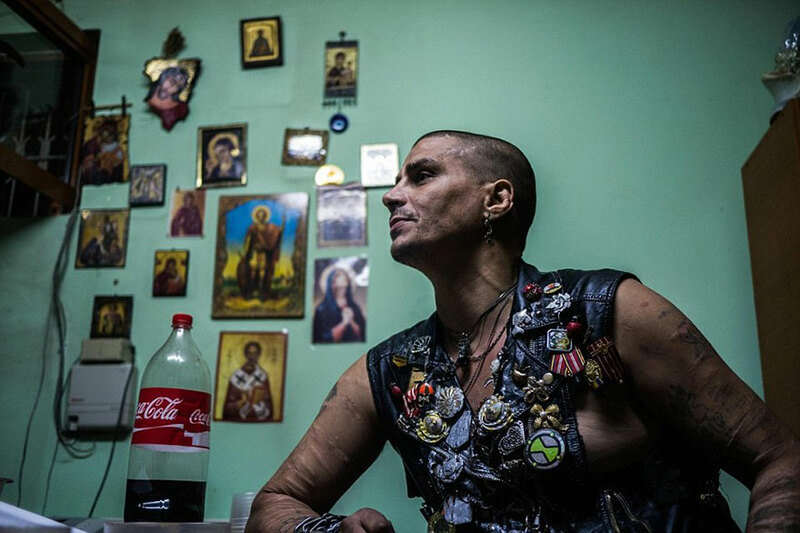 But beneath its beautiful streets is another world, buried there after the fall of Romania’s brutal communist dictatorship – a world of sewers and forgotten orphans. 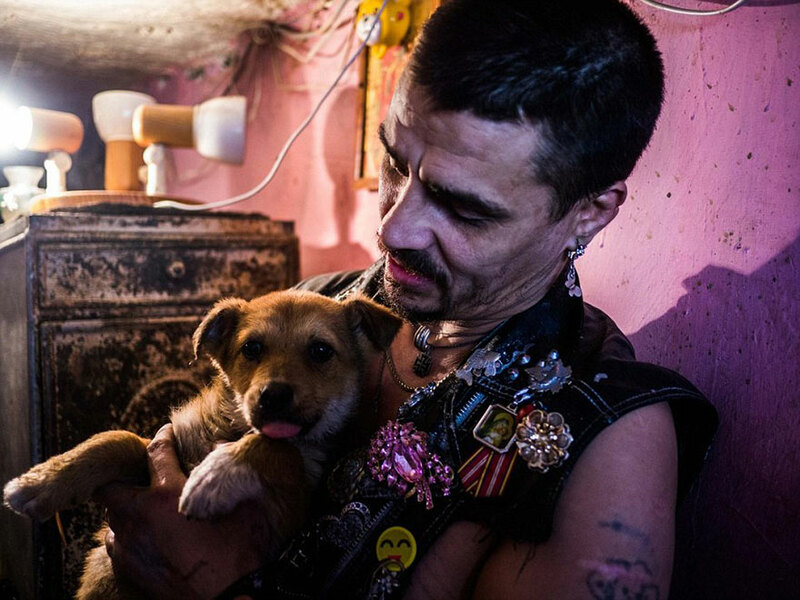 This underground network of sewers is home to the city’s lost and forgotten souls, most of whom have HIV and a quarter of whom suffer from TB. 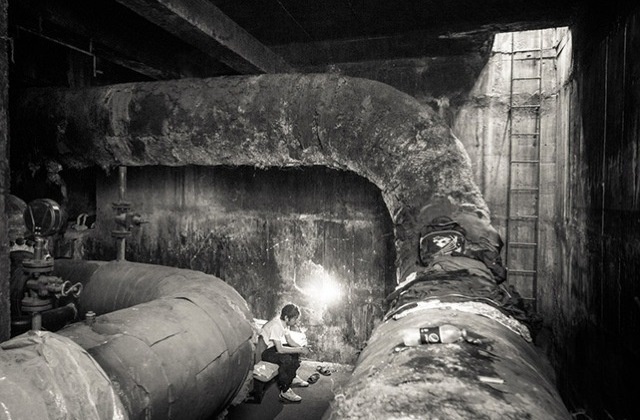 The sewers, and their king Bruce Lee, were the subject of a recently released Channel 4 News film. Bruce Lee, this underworld’s king and primary drug dealer, is a complicated figure. 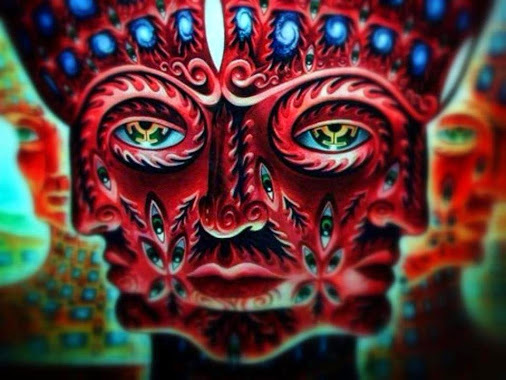 He keeps the underground supplied with a metallic paint called Aurelac that they inhale to get high and with other synthetic drugs. However, the fearsome orphan and former street-fighter also pays local gangs for protection and protects other young orphans who have fallen through the cracks. Social workers say that Lee protects the youngsters from sexual predators and that junkies are far less likely to die when Lee offers them a warm place to sleep. 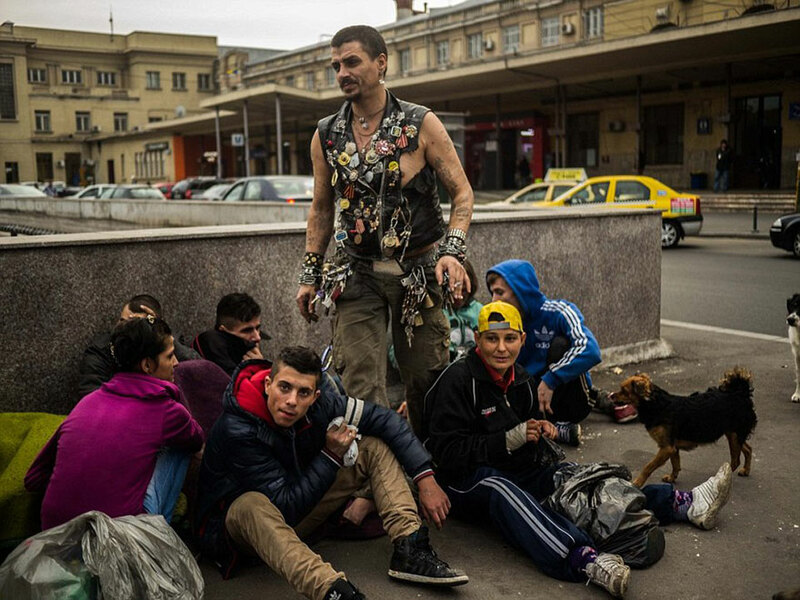 The sewers are remnants of communist dictator Nicolae Ceausescu’s grand plan to centrally heat the city. Although this plan didn’t work out, the ruined infrastructure gave the orphans who were forgotten after the fall of his dictatorship a place to live. 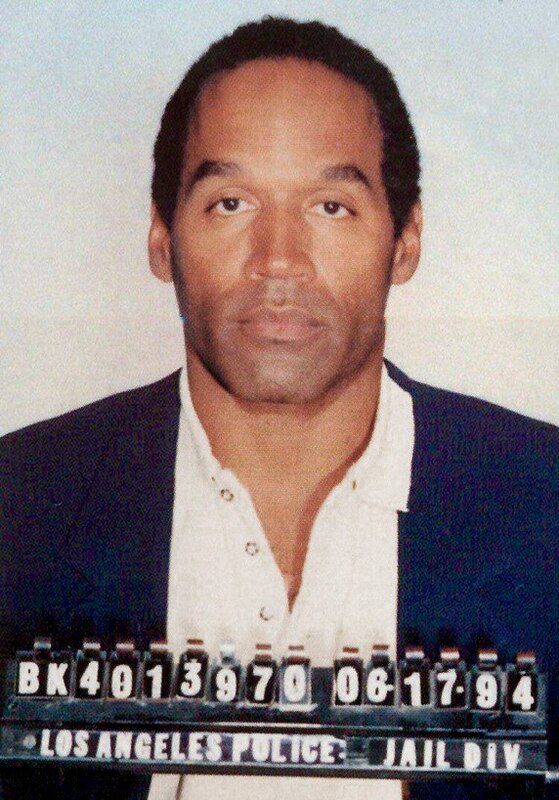 Two decades after America dropped whatever it was doing to watch a white Bronco cruise down the San Diego Freeway, the O. J. Simpson case remains unparalleled as noir mystery, soap opera, and (though noç one knew it at the time) TV’s first reality show. Examining how the cast—Kato Kaelin, Marcia Clark, Faye Resnick, et al.—got its hooks into popular culture, Lili Anolik accuses Simpson of a different murder. FACE OF INNOCENCE? 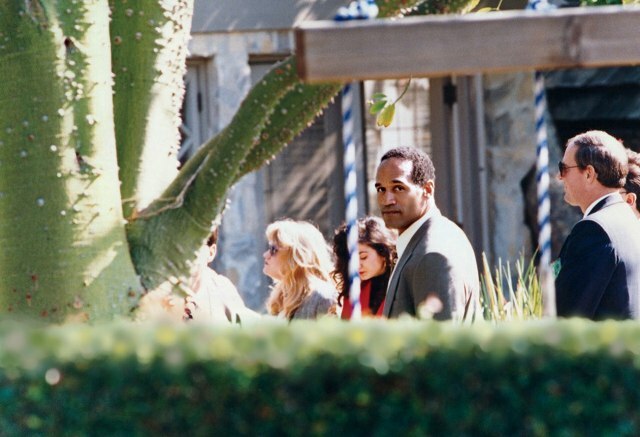 O. J. Simpson accompanies jurors to the crime scene outside his ex-wife’s home in the Brentwood section of Los Angeles.